This past Motzei Shabbos will be the annual dinner benefiting the organization known as Project EZRAH. Project EZRAH, especially in these times, would like to do whatever it can to inspire each and everyone of us to be there for each other. They commissioned the attached song which they would like to share with klal Yisrael. 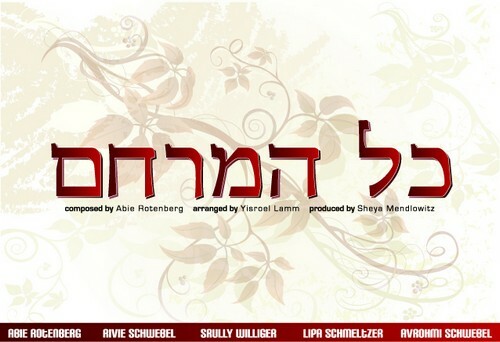 The song was composed by Abie Rotenberg, and features the vocals of Abie Rotenberg, Lipa Schmeltzer, Rivie Schwebel, Srully Wulliger and introducing the newest and youngest edition to the Schwebel music family, Avromi Schwebel. This magnificent song was arranged by Yisroel Lamm, and produced by Sheya Mendlowitz.If you would like to find out more about this wonderful organization, please visit their website, www.ezrah.org.